SKU: 54-181 Categories: BATH SEAT, BABY BATH-CHANGING. 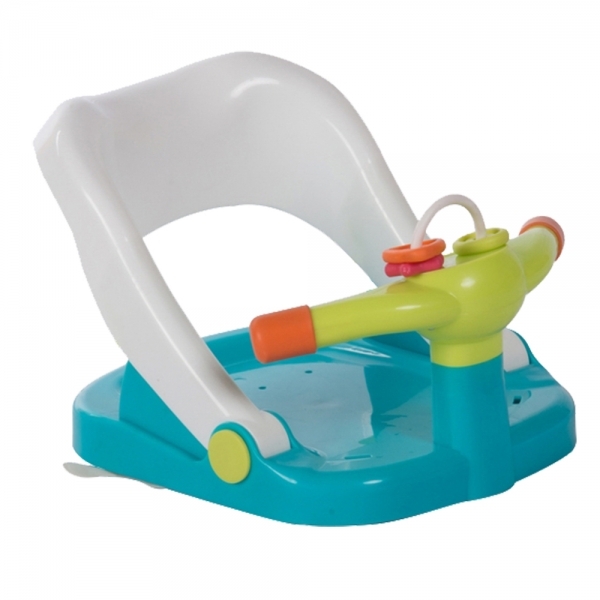 A helping hand at bath time, the Bath Seat by Bebe Stars allows your baby to sit safely in the bath completely supported while leaving your hands free. 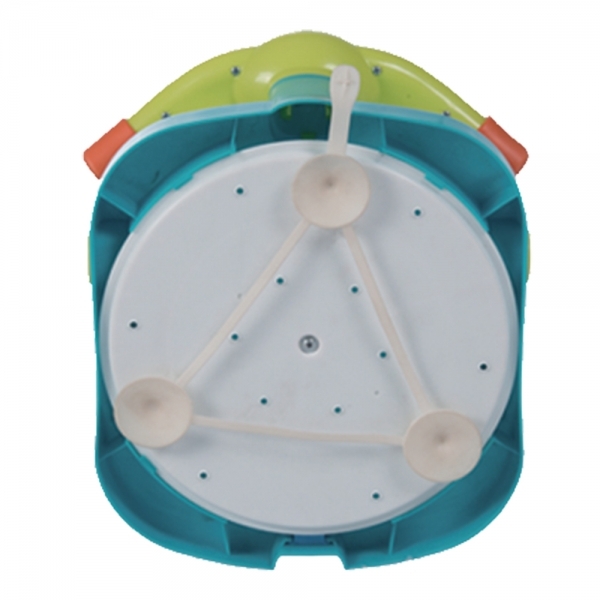 Ergonomically designed with a reclined shaped backrest, this plastic bath seat will support your baby’s back so you can wash him or her and uses 3 suction pads on the base to ensure complete stability. 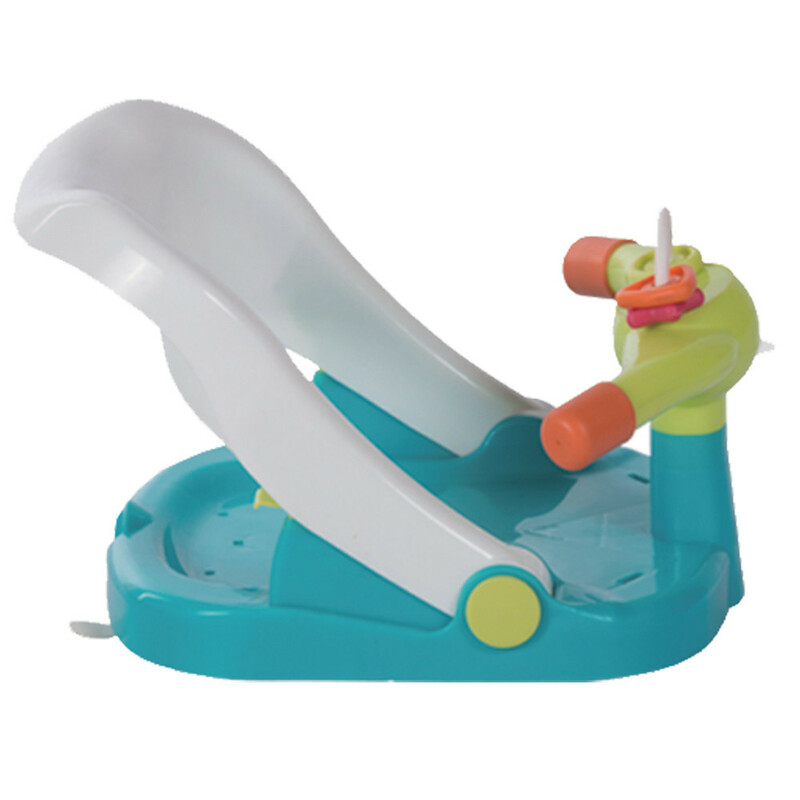 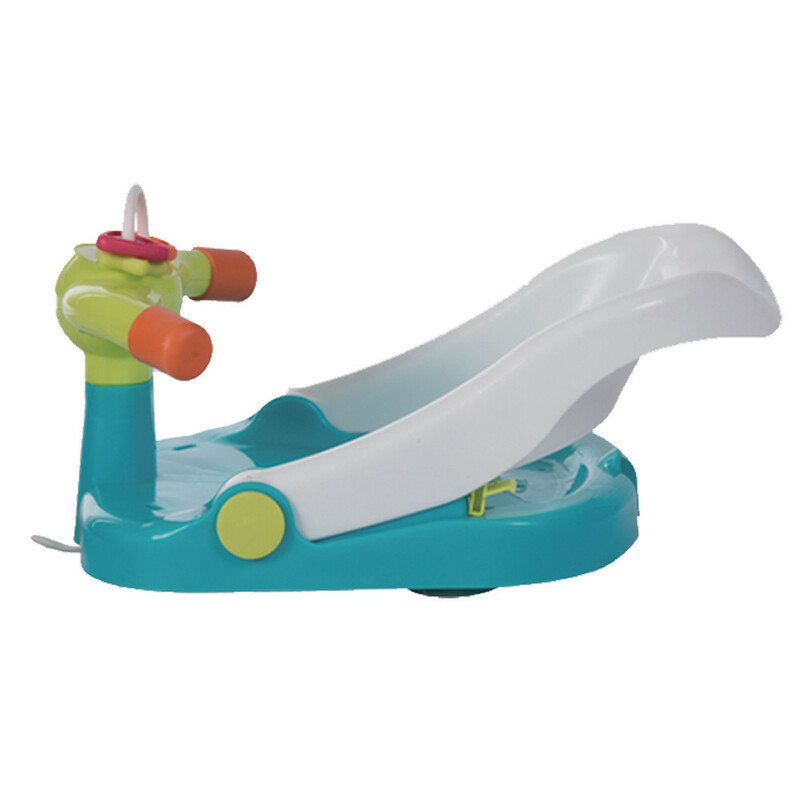 Fun for baby, the Bath Seat swivels 360º to allow your child to move and splash around and enjoy bath time, you can also stop the spinning wherever you want. 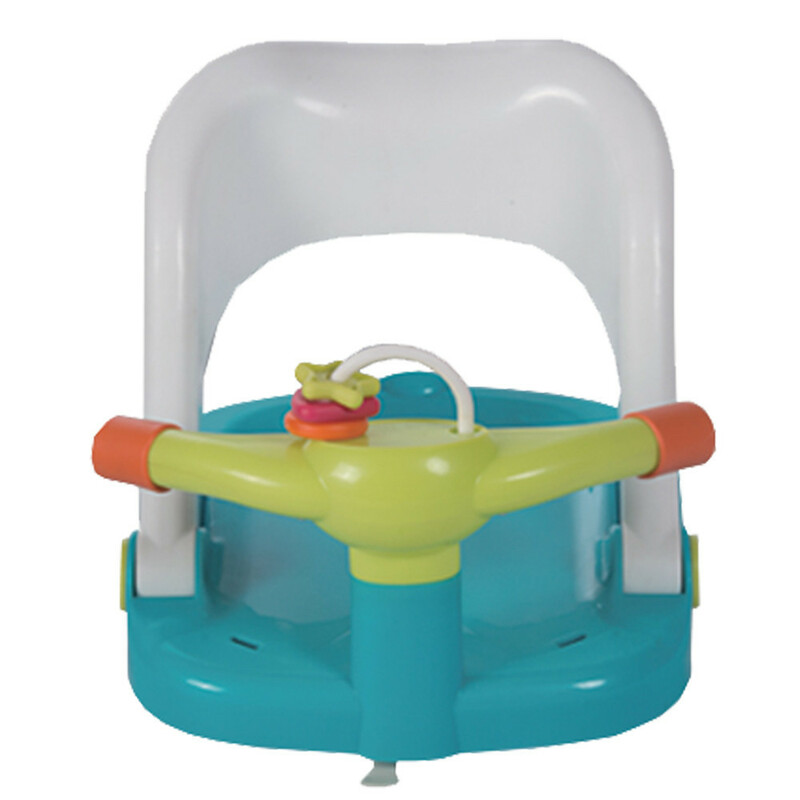 A spinning ball is fitted to the front bar for further entertainment. This bath seat is suitable for children aged 6 to 18 months. Maximum capacity 15kg.